We got the following recipe from one of our resident chefs here at SooFoo. She likes to serve this sweet and savory chutney along with a roasted meat and SooFoo. It’s a bit of a change from the turkey, stuffing and cranberry sauce you’re used to. And we’re looking forward to her bringing some in for us to try! 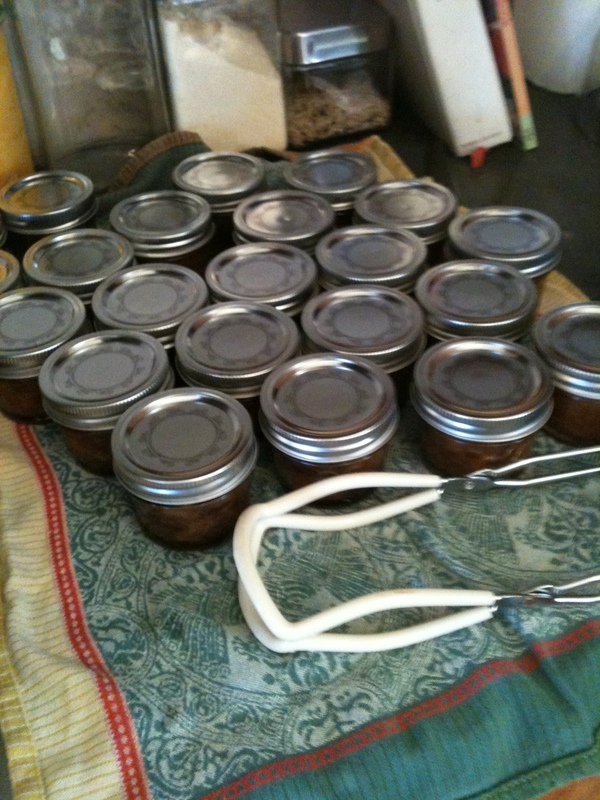 I made 24 jars of chutney this weekend (phew!) and am sending you some photos. Pears are a tasty Autumn fruit and I love to serve chutney with a grilled turkey and a side of SooFoo! 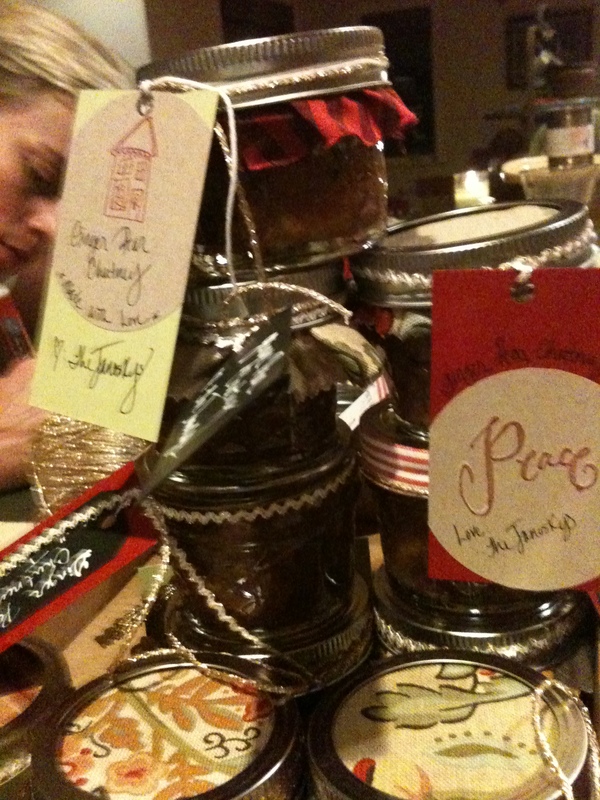 giving my jars of conserves to my co-workers at SooFoo and sharing with them the joys of canning seasonal crops. 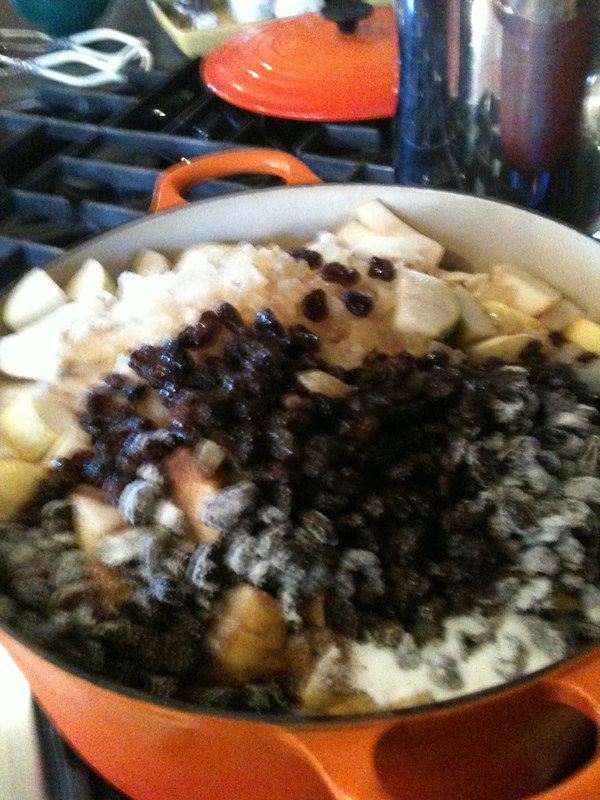 In large pot combine all ingredients and bring to a boil.Reduce heat and and simmer for aobut 1 1/2 hours stirring occasionally. Remove from heat and pour into hot sterilized jars.